DS 6700 - Multi functionality at its best! 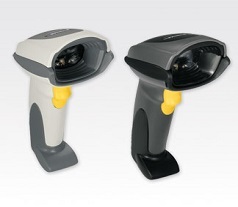 The DS6700 general purpose bar code scanner combines the functionality of a bar code scanner, digital camera and document scanner in a single, cost-effective device. From point-and-shoot simplicity to accurate bar code scanning to capturing full-size documents, this device is the right tool for the job. Text enhancement technology makes the DS 6700 scanner capable of handling even the finest-grain text. Omni-directional scanning and a wide working range means that even novice users can begin scanning with minimal training. Ensures text legibility in scanned documents.